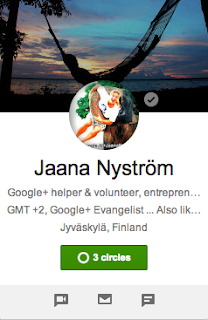 GooglePlus Helper: Google+ updated profile: Upgrade! Google has made changes in how our profile on the Google+ looks like. One can partially opt out of the "upgrade" but with the larger image I must admit this looks good! 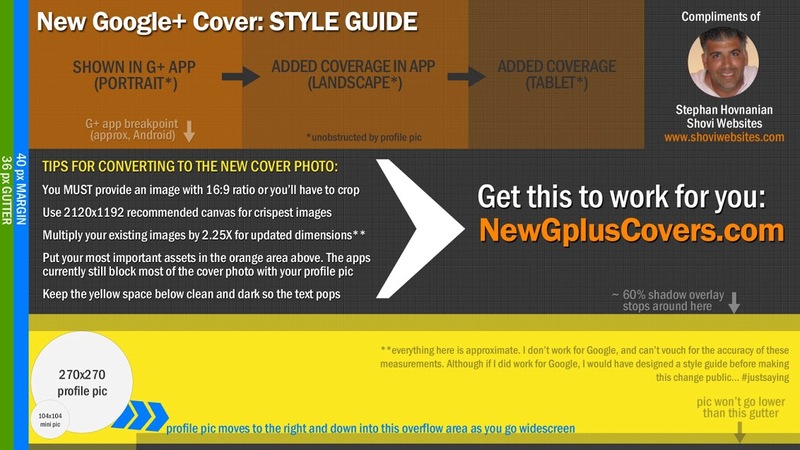 If you don't want the really large image, then you'll have the same old banner size but note that the avatar pic and texts have been moved to the side. Why this change? Because of the Feedback the users have sent. +Chris Messina posts more about the reasons for the change. Warning: Once you change, that's it. No going back. The photos can be from your posts, albums or hard drive. Choose, crop and save. With the white text next to the avatar image, it'd be good to have a dark lower part of the picture, though there is some partial shadowing done by Google. Could we have a round crop, please Google? Everything's rolling out gradually, so check back soon if you don't see it yet. Once it’s live let us know your thoughts in the comments! The whole look is much nicer and clearer, with each category of content in its own box. 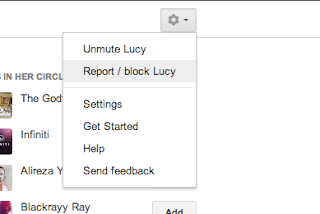 The editing is also easier, each box has it's own Edit button. 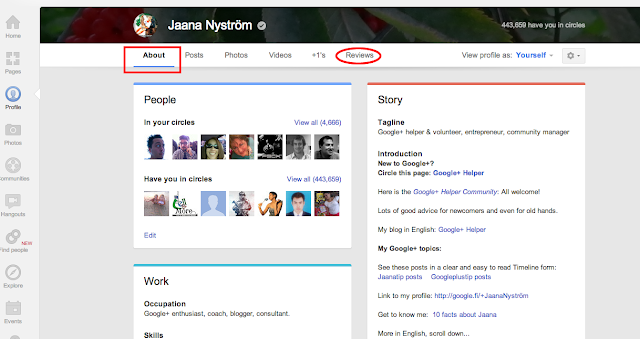 And Reviews are now visible in a tab so this is a welcome change for the Google+ Local pages. For those familiar with Photoshop, you could download this image and use it as a model for optimizing the large image. The new hovercard needs some work with the texts... Hmm. This is new: You can now to start a Hangout, send an email or chat with the person, directly from the hovercard - depending on their settings. If a person is in your chatlist you can start chatting but if they are not, and they only allow their circles to contact them, well. You can check your profile from this link to see if the upgrade is available to you. Other changes in your profile, check this link. Mobile users: You can choose which part of your big pic shows when your profile is viewed via the mobile app by clicking the camera icon when viewing your profile and repositioning the image. And here are some ideas for cover photos with a nice surprise at the end of the post! Do you like this change, will you upgrade or keep the old banner? Why?